James Dahlem's family roots run deep in the grape business. For over a century they have ran wineries and raised grapevines in the surrounding areas of Altus, AR. To keep this tradition alive, James purchased his own vineyard. While James works as a mechanic by day, growing a vineyard has always been a lifelong passion and dream. Upon the first year, James enjoyed immense success among the locals who were eager to come out and pick fresh grapes by the pounds. 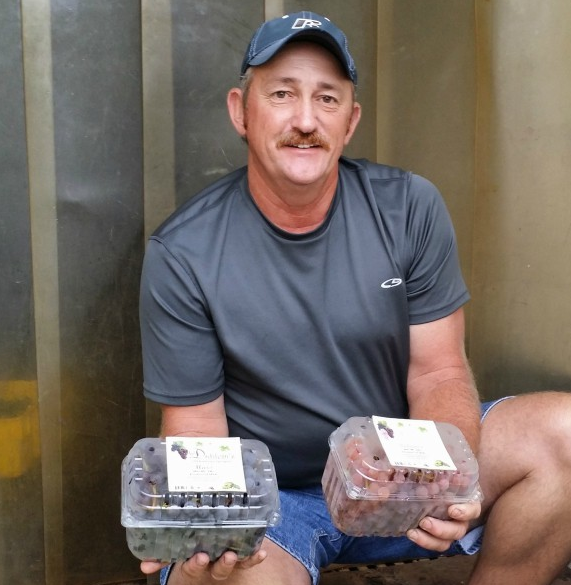 James also sells his grapes to grocery stores and fresh produce stands. To this day, the Dahlem Vineyard continues to thrive. 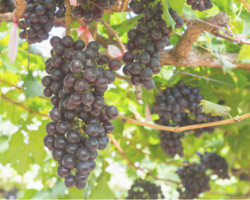 The table-grape vines date back more than 35 years old; breeding plenty of richness and flavor for the teeming variety of grapes which include large purple Venus grapes, Mars, Reliances, sweet Interlaken grapes and our very own Cynthiana --the official grape for Arkansas. Harvest season begins in mid-July until late August and during those months there is plenty of quality sweetness to be enjoyed at Dahlem Vineyard.